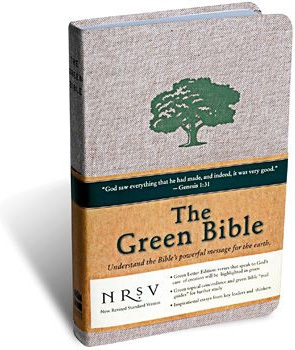 The Green Bible calls attention to more than 1,000 verses related to nature by printing them in a pleasant shade of forest green, much as red-letter editions of the Bible encrimson the words of Jesus. Using recycled paper with soy-based ink, The Green Bible includes supplementary writings by, among others, St. Francis of Assisi, Pope John Paul II, Desmond Tutu and Anglican Bishop N. T. Wright. Father, all the elements of nature obey your command. Calm the storm that threatens us and turn our fear of your power into praise of your goodness. I’m sure some people are saying it now, as Tropical Storm Fay approaches the Florida Keys. I am glad to know it, and will have it at hand, in my home out on the East End of Long Island once hurricane season gets underway. Weather-related prayers – for rain in time of drought or protection from violent storms – are based on a concept of God as the one who controls nature. In many cultures, including our own, people expect priests and religious leaders to petition God for favorable weather, a good harvest, a safe voyage through the storm. Some might say these prayers in times of terror and stress originate from the child within us. 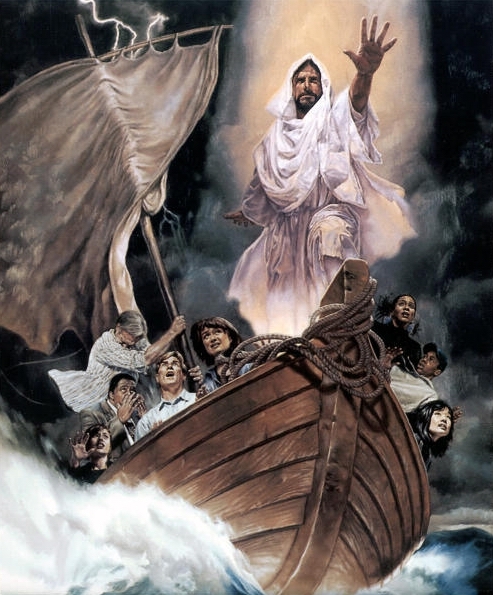 But a very famous scene in the Gospels – Christ rebuking the wind and calming the sea (Mark 4:37-41) – reinforces the belief God will intervene to save us, our loved ones and neighbors, our pets and property as the storm descends in fury. If not, then to give us the strength to face what we must, and adapt with courage to the circumstances we are given, and trust that, whatever happens, we are always in God’s hands. The Dextera Dei, the Right Hand of God, is portrayed on the north face of Muiredach’s Cross, the largests of the stone “high crosses” at Monasterboice in Co. Louth, just north of Dublin. The Hand of God is shown resting on a round carved disk; underneath it two snakes intertwine three human heads. The monastery was founded around 520 A.D. The cross was carved in the 10th century, and is dedicated to an abbot of Monasterboice, Muiredach mac Domhaill. His death is recorded in 923 A.D. I was in the presence of the cross on a cold, bright spring morning. The ground was still wet with dew. I remained standing by the Right Hand of God long after the other members of my group moved away. I studied, and looked, and counted, but I couldn’t crack its mystery. Since I returned home, I have not been able to find any discussion of the iconography of this part of the cross. 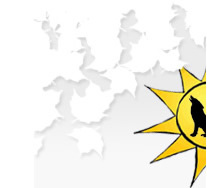 Are the roots of the artwork in the ancient Irish symbols for the sun, victory and divinity? The Old Testament? The New Testament? All three? The images portrayed have their roots in both traditions: Life, Death, Kingship, Victory, Divinity. Snakes could symbolize the ancient native religion, Satan or fallen angels. The location of the cross was in an ancient grove had its own meaning. That gently sloping knoll served as a sacred place to the local people well before the arrival of Christian missionaries and monks. There are referrences to “right hand of God” throughout the Bible. As the messiah, Jesus is supposed to be seated at the Right Hand of God. But the cross of Muiredach pays as much attention to David as it does Jesus, so I think the origin for the symbols come from one of his stories or psalms. 25 So this is the great sea, which stretcheth wide its arms: there are creeping things without number: creatures little and great. 26 There the ships shall go. This sea dragon which thou hast formed to play therein. I love the sea. I love dinosaurs. I love mystery monsters, especially sea monsters. I have all three with the Leviathan. What was it? Biblical scholars and others have numerous theories about what it was, what it could have been, and what it represented. I think it might have been an extra large Nile crocodile; but it could also have been an imaginative literary creation based on the discovery of the bones of an ancient marine reptiles. It possbily could have been a living creature of legend, much like the Loch Ness Monster. 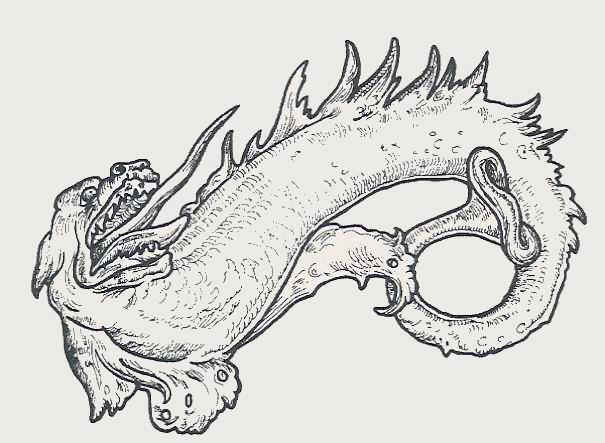 Depending on the translation, it can be read as “whale” or “coiled.” If the Leviathan was more whale-like, then I would say it resembled a dunkleosteus or liopleurodon. If “coiled” then a mosasaur or sarcosuchus. Walking along the beach at Orient, NY I came up this driftwood sculpture. I named it “Leviathan” for its open, roaring mouth and stare across the sea. The writer had evangelizing on his mind with this line, but I thought about my garden. I lovingly covered up the roots with soil; I water the plants thoroughly, even refreshing the leaves; I admire them from close and afar, I glory in their color and wildness. But it is God who infuses them with life.